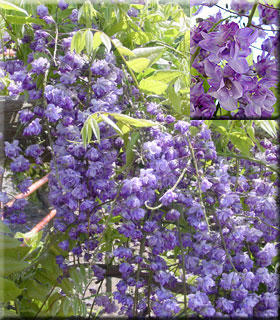 Comments: Our cultivar is from New Zealand and has double blooms. They are one of the darkest purples, but NOT black-purple. Fragrant flowers open about the same time as leaves appear. Deciduous. Also sold as with its Japanese name: 'Yae-kokuryu'.